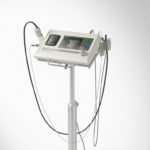 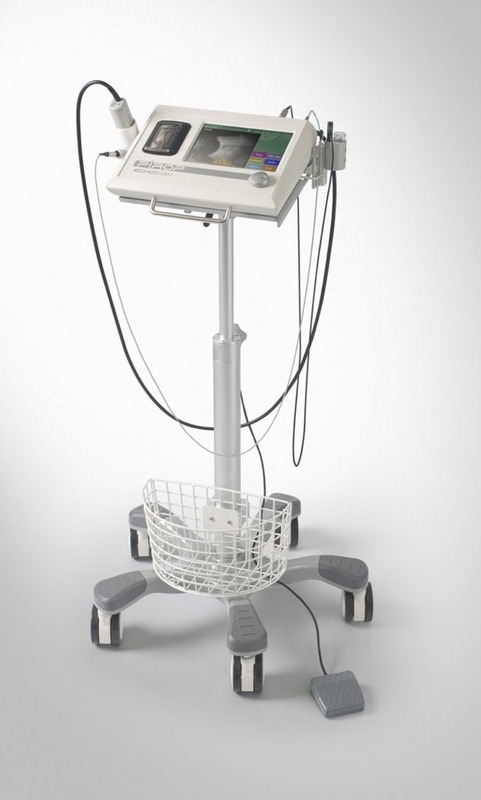 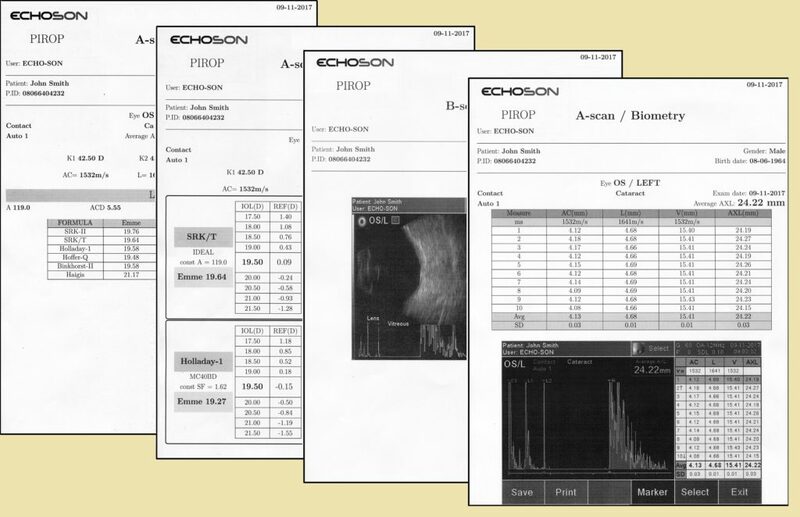 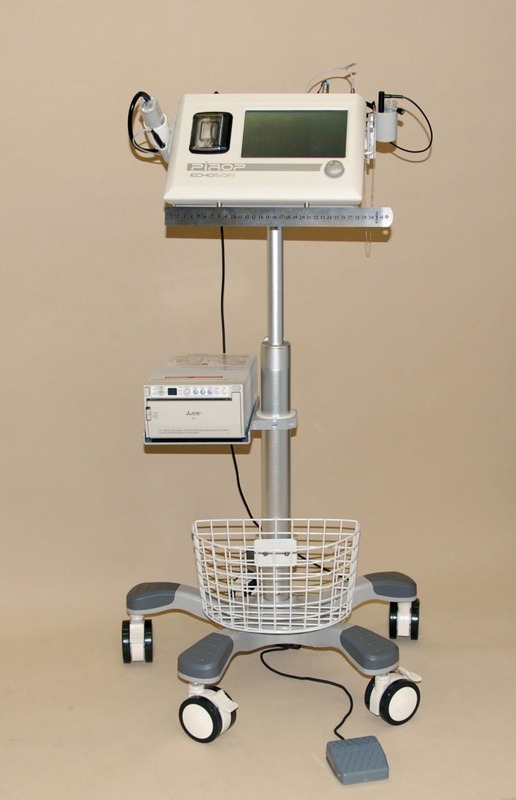 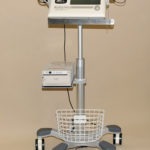 PIROP – Ophthalmic Scanner (A+B+CCT) – ECHO-SON – manufacturer of high quality ultrasound scanners since 1993. 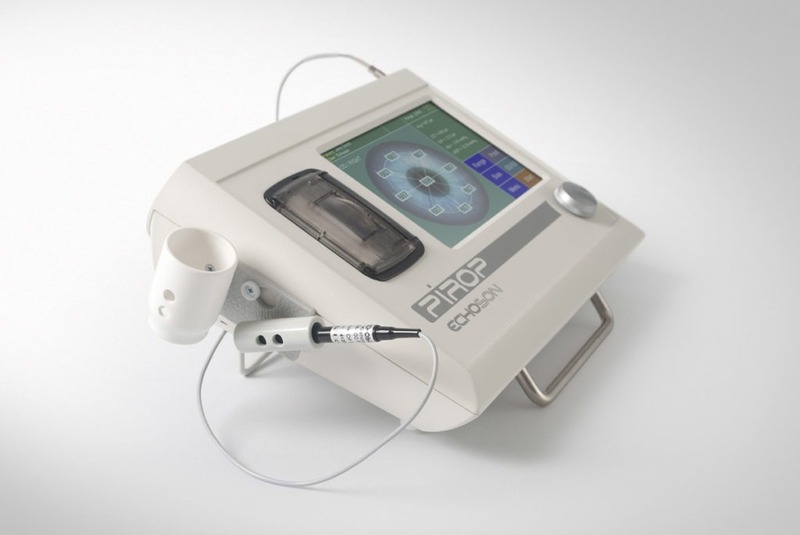 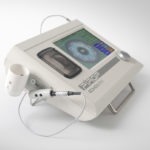 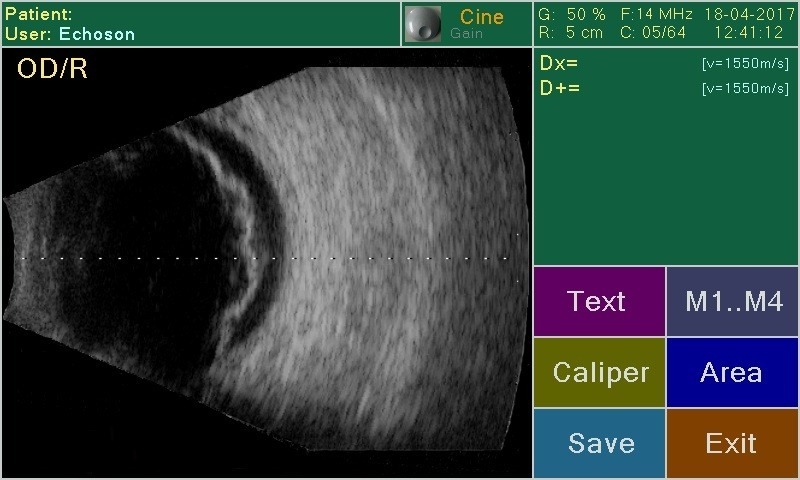 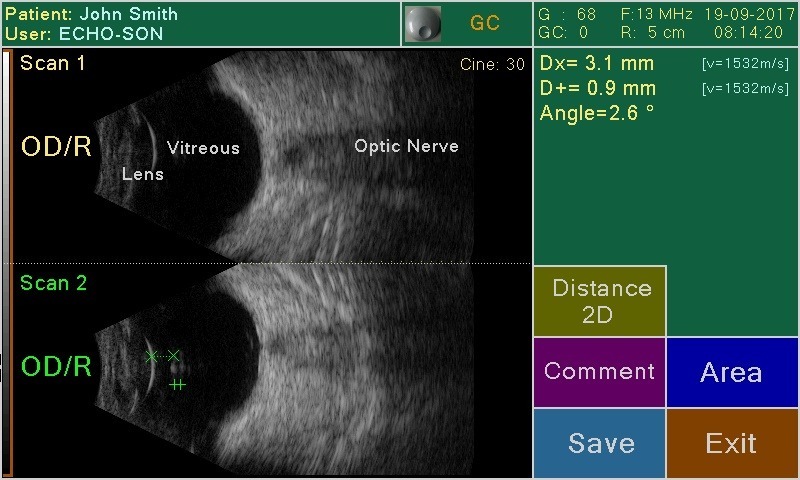 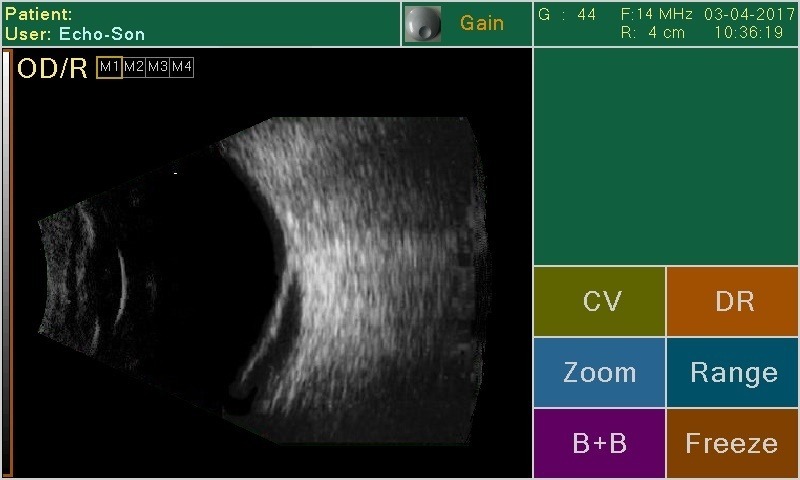 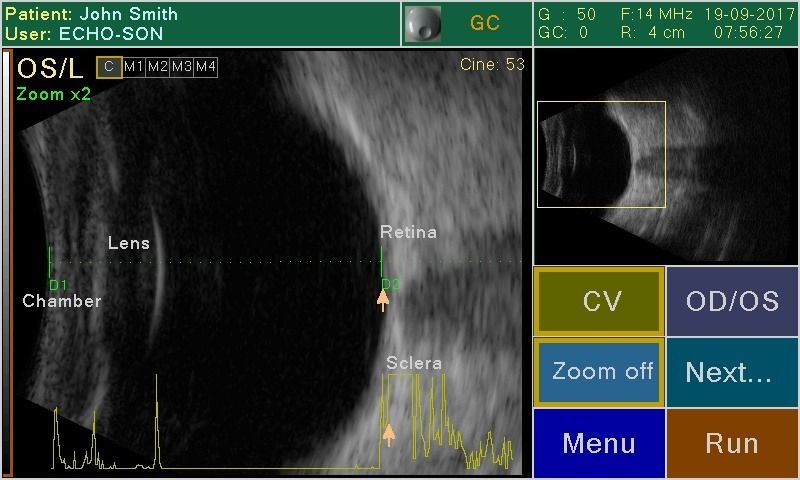 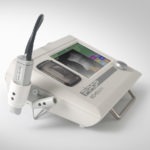 PIROP – state-of-the-art ophthalmic ultrasonic device for Biometry , Visualization and Pachymetry of eyeballs (A-Scan + B-Scan + CCT- Pachymeter) – modified version. 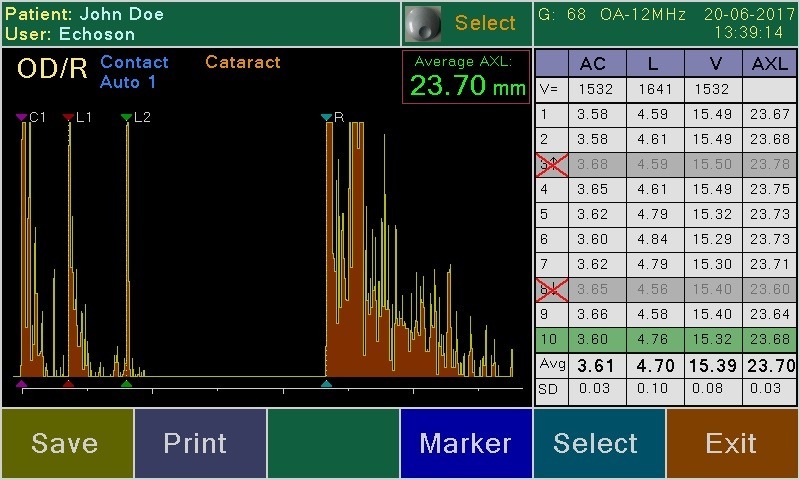 Digital ‘A-scan’ tool for ophthalmology, biometry and lens power calculation of intra-ocular implants. 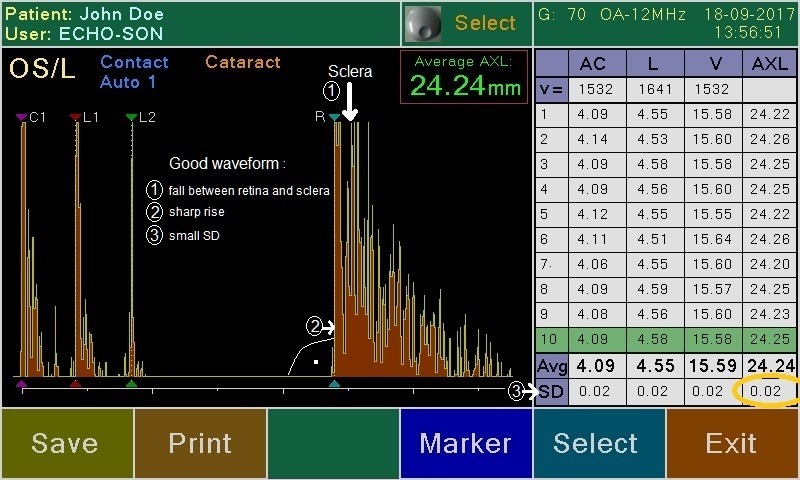 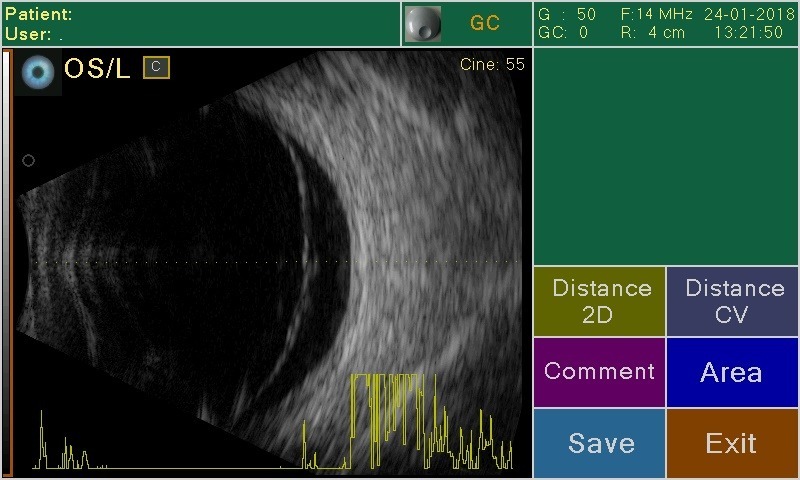 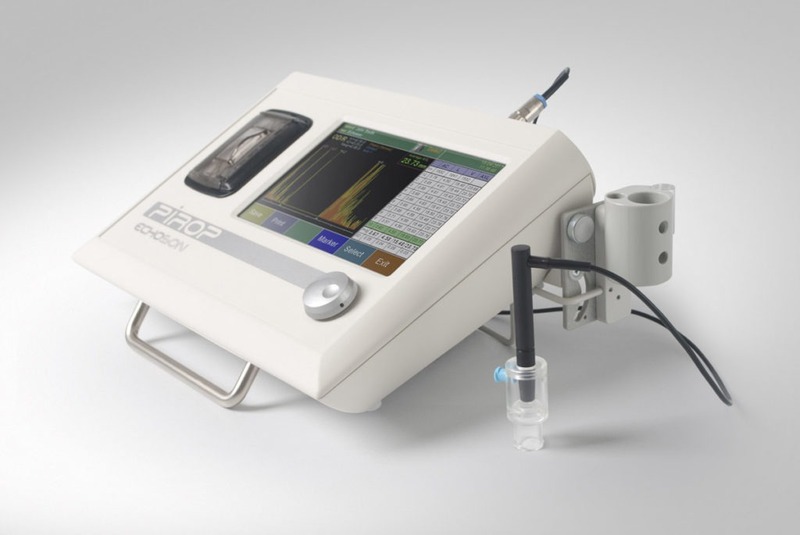 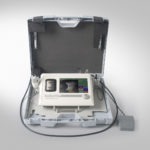 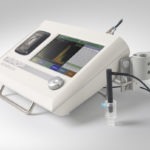 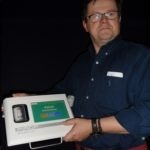 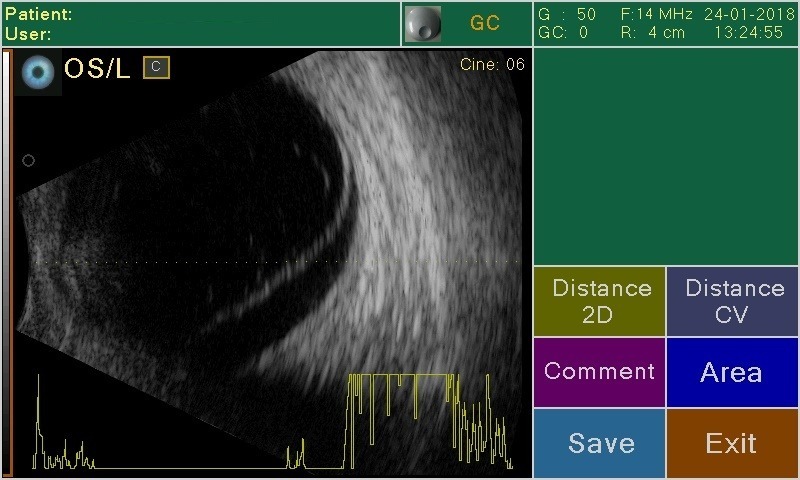 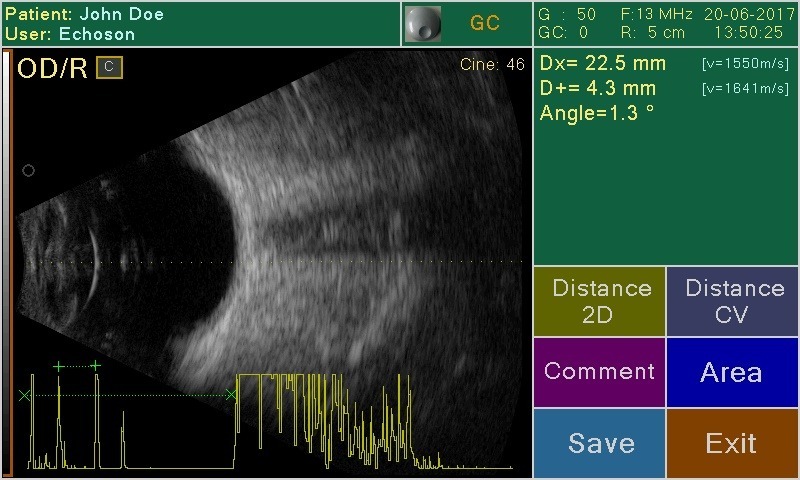 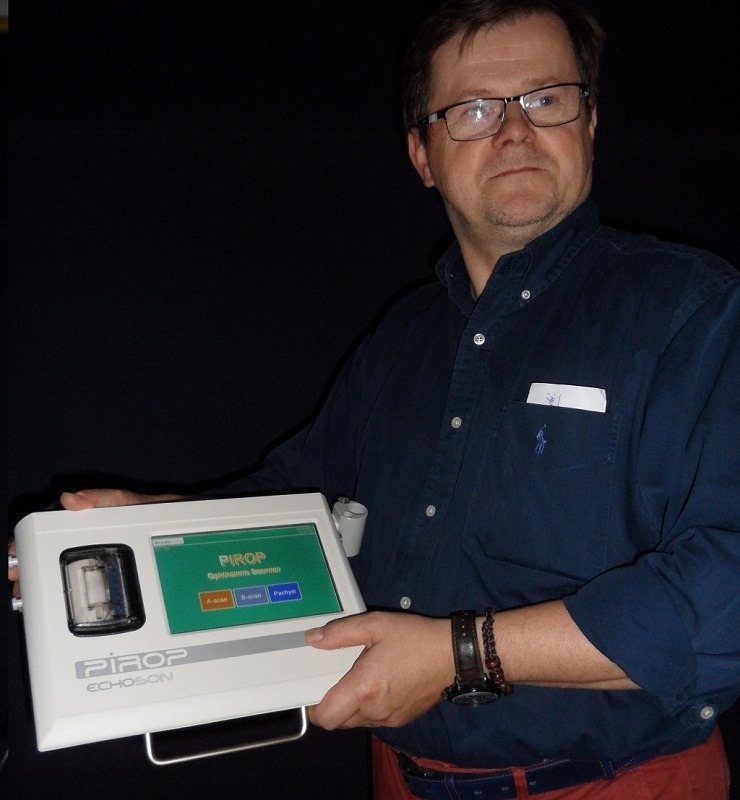 Up-to-date ultrasonic pachymeter used to measure the thickness of the eye’s cornea (glaucoma screening and refractive surgery), with a very high sampling frequency –400MHz (a significant increase in measurement accuracy – ≤ 2 μm). 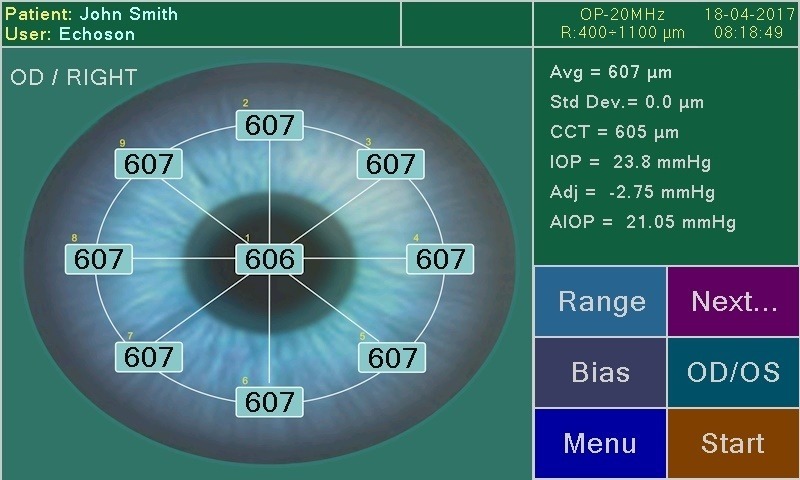 Corneal pachymetry is an important test in the early detection of glaucoma (central corneal thickness CCT), and it help also surgeons by providing graphical surgical plans to eliminate corneal astigmatism. 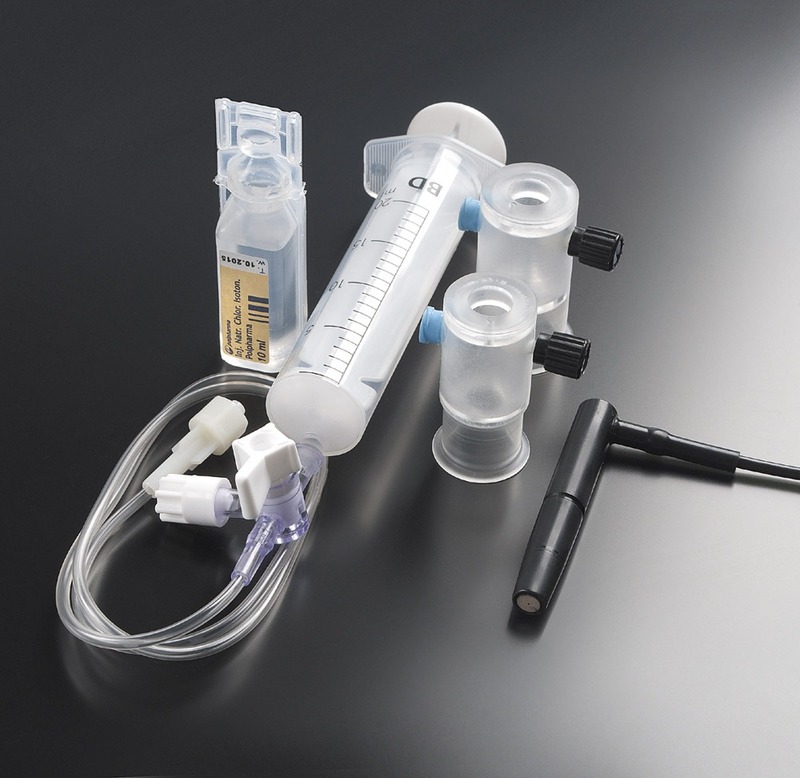 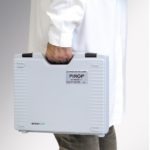 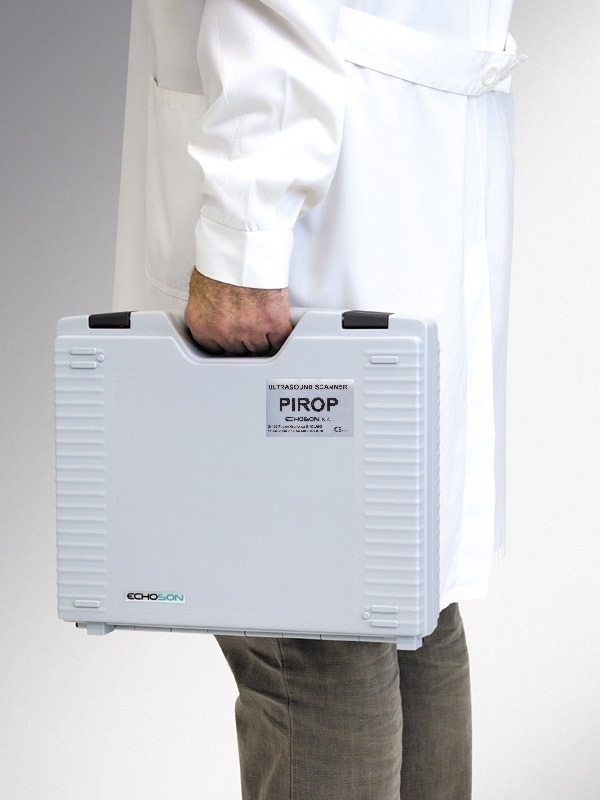 PIROP user’s interface based on touch screen technology makes operation easy and user-friendly. 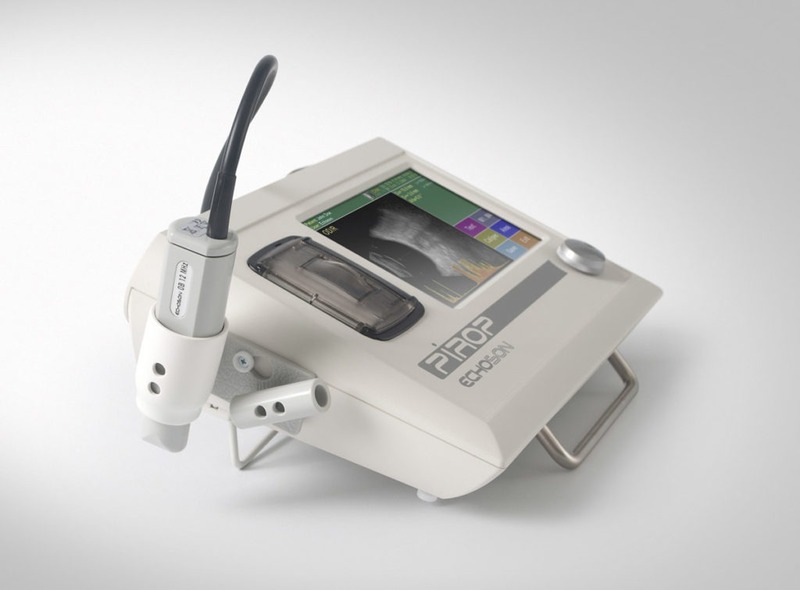 The touch screen can be also operated not only with fingers, but also using the enclosed stylus to keep it clean. 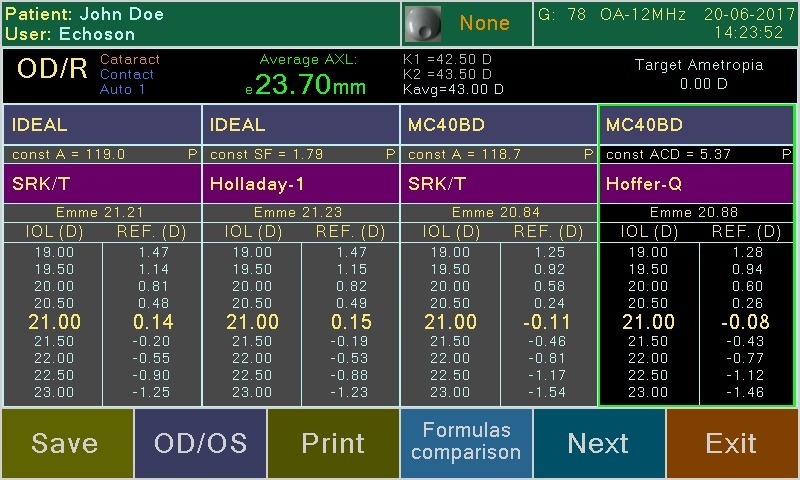 Customizable for 10 users, 10 profiles for each. 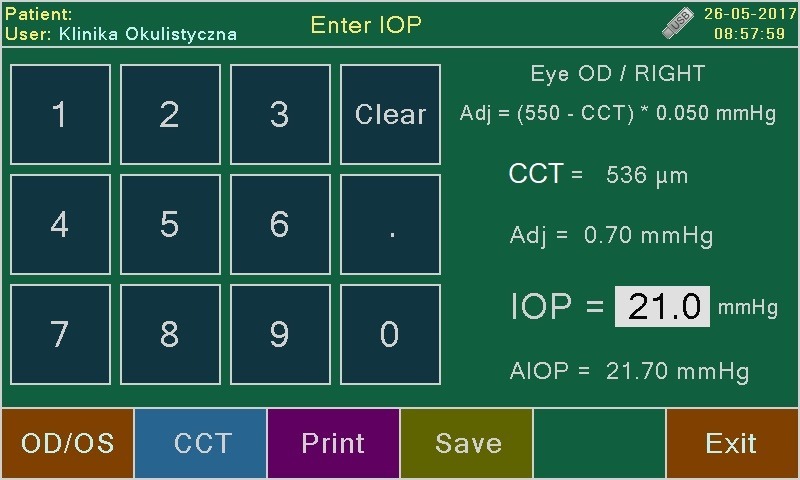 – virtual keyboard for entering patient data, etc. 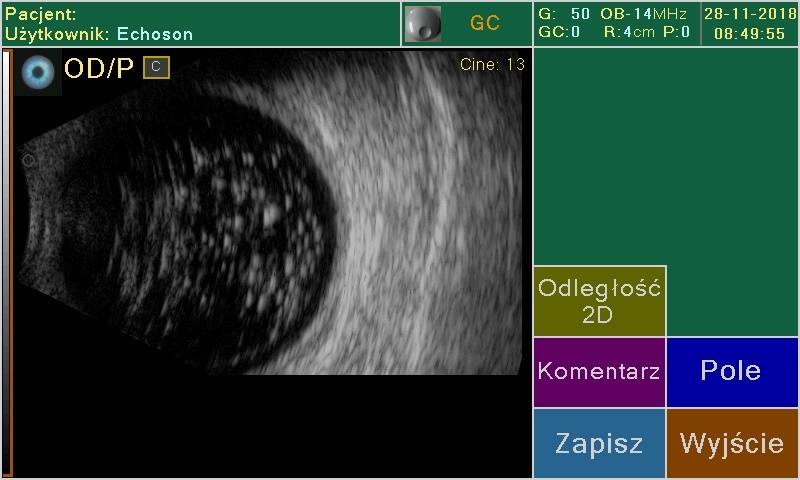 Recording of images in internal and USB-Pendrive memory. 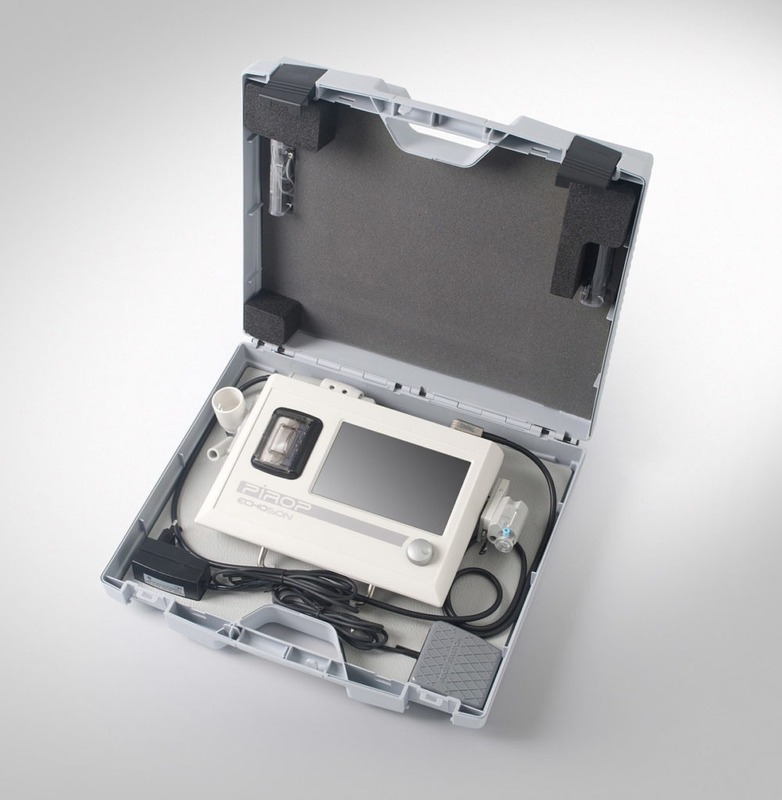 It is possible to work with external USB printers (HP LaserJet Pro M14- M17, HP LaserJet Pro M102 or Samsung Xpress M2022) via USB connection. 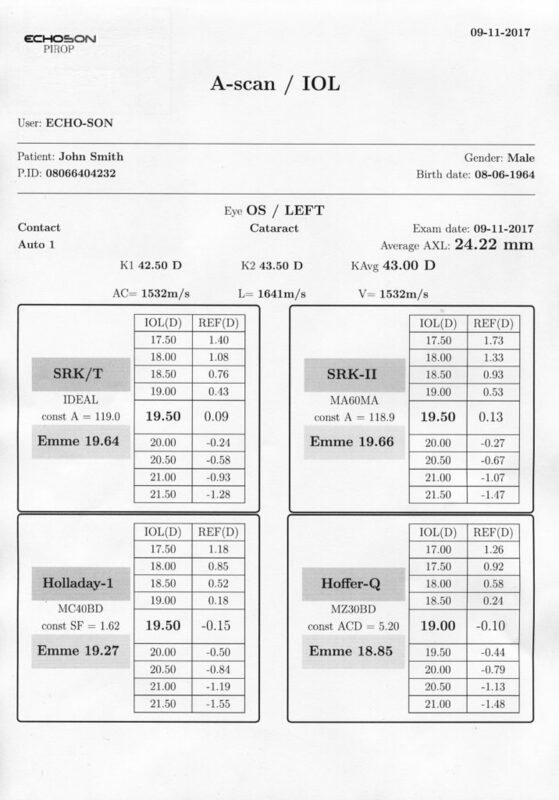 Depending on the PIROP operation mode various reports printout can be received on external printer. 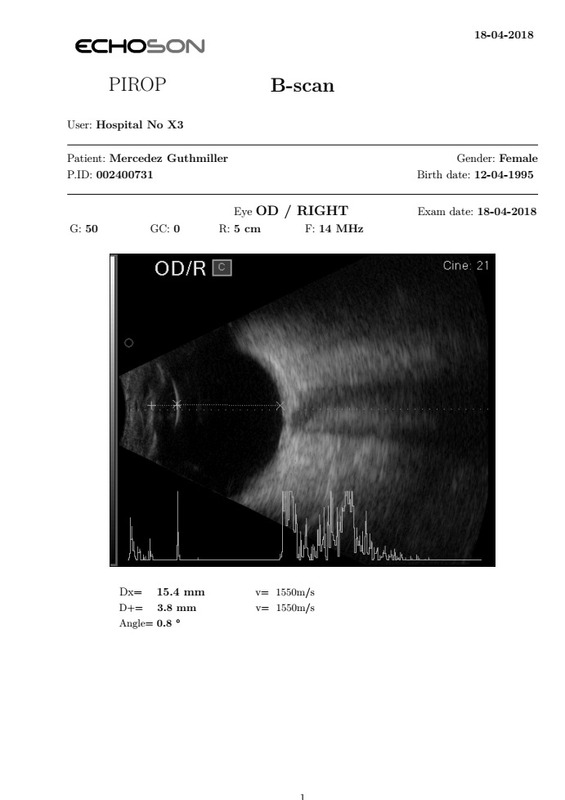 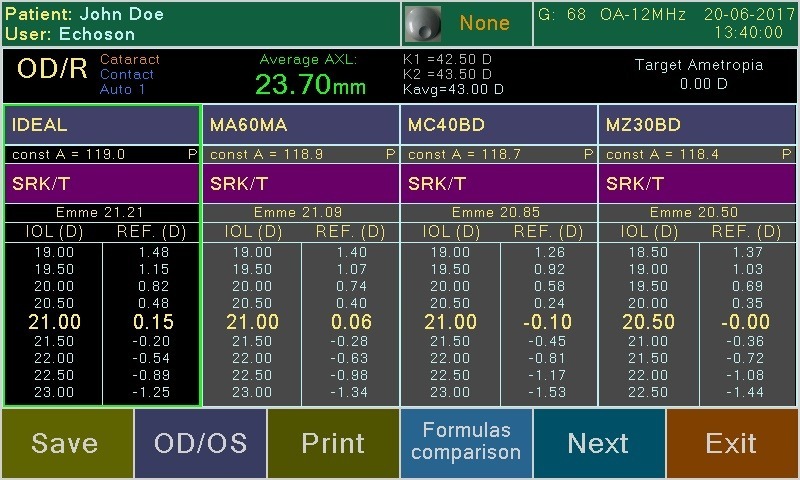 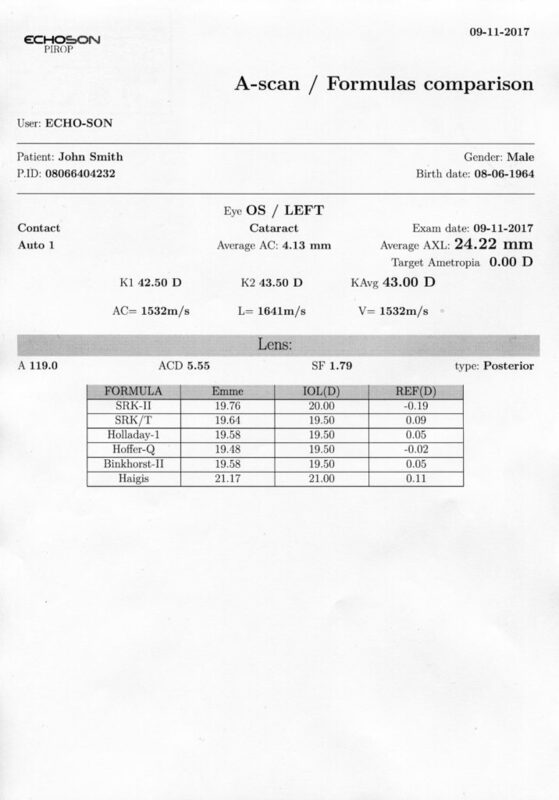 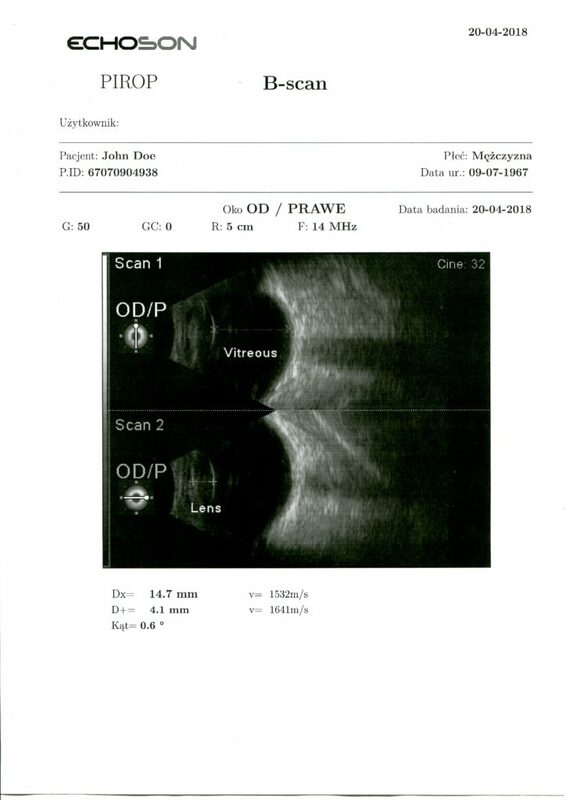 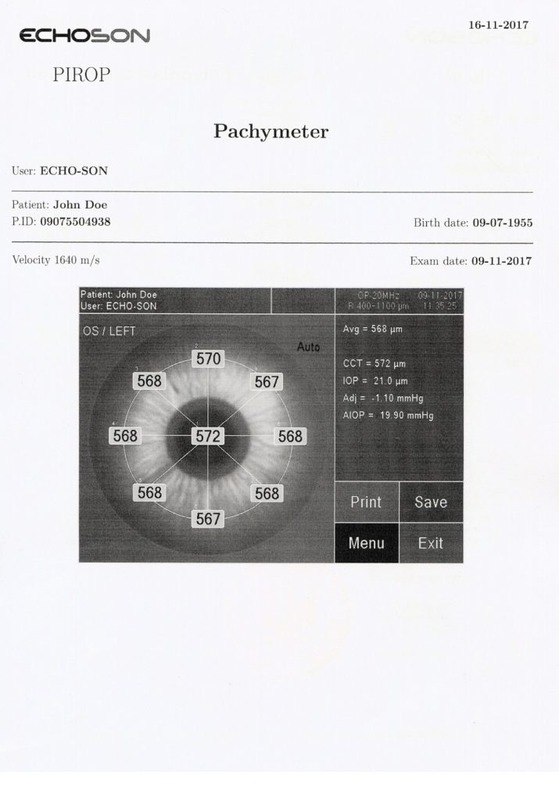 The reports contain all the information from the scan screen: user and patient data, exam data, parameters of eye and lens, IOL calculation, measurements, image (screenshots) etc. 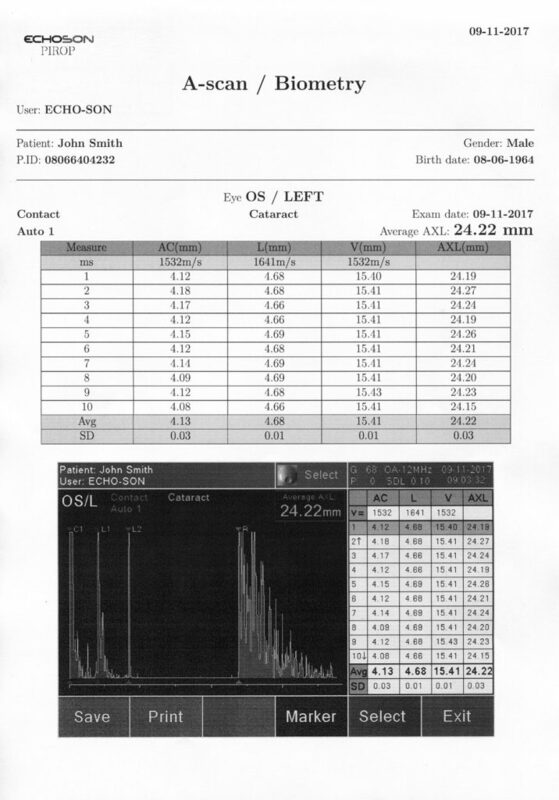 It is also possible to print report from exam saved in the archive.